Here’s a pepper sauce that is reminiscent of a barbeque sauce. Cousin Anne is a tough one to nail down. Gram had an Aunt Anne and even a great-grandmother Anne. Unfortunately our records don’t include the children of her nine aunts and uncles. On the other side, Grandpa George’s side there are no Anne’s that I can find. My guess is that Cousin Anne is really a cousin we just don’t know about yet. 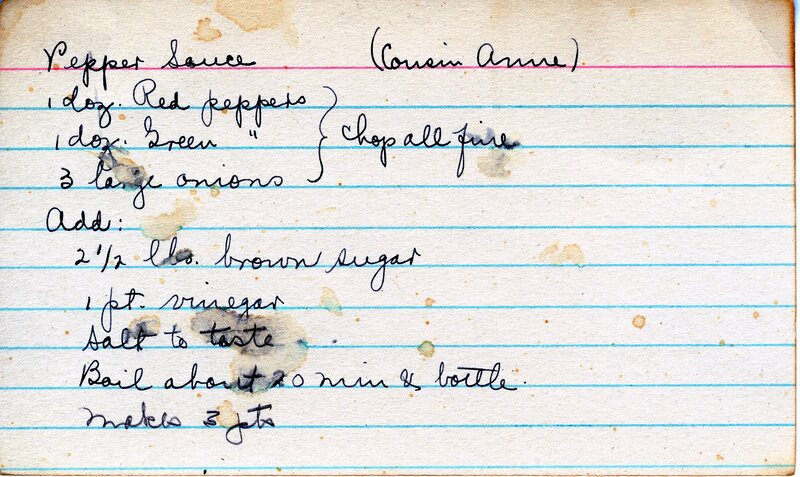 Isn’t it funny how these recipes are also a genealogy record?